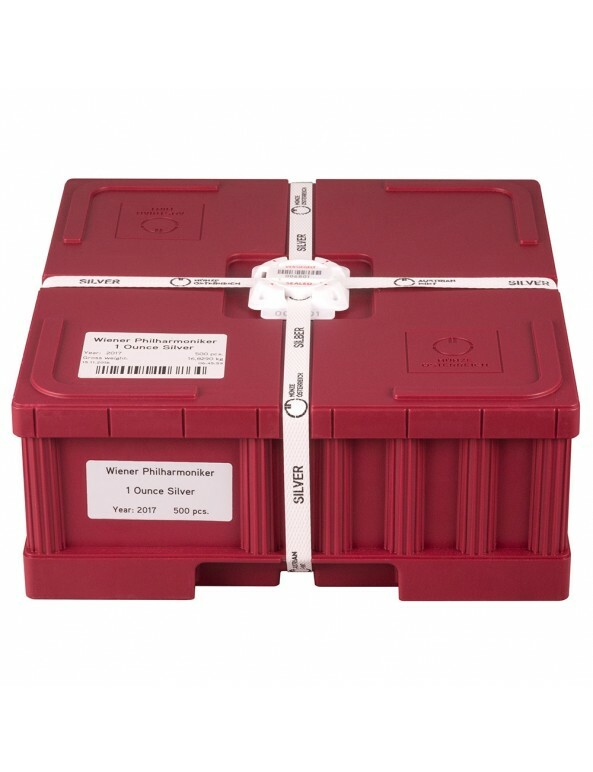 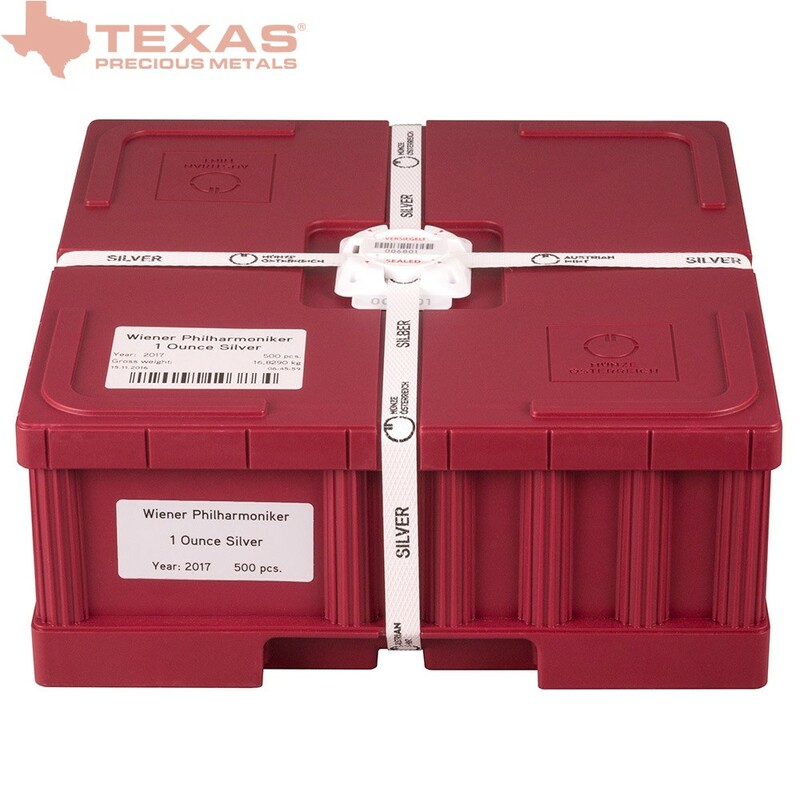 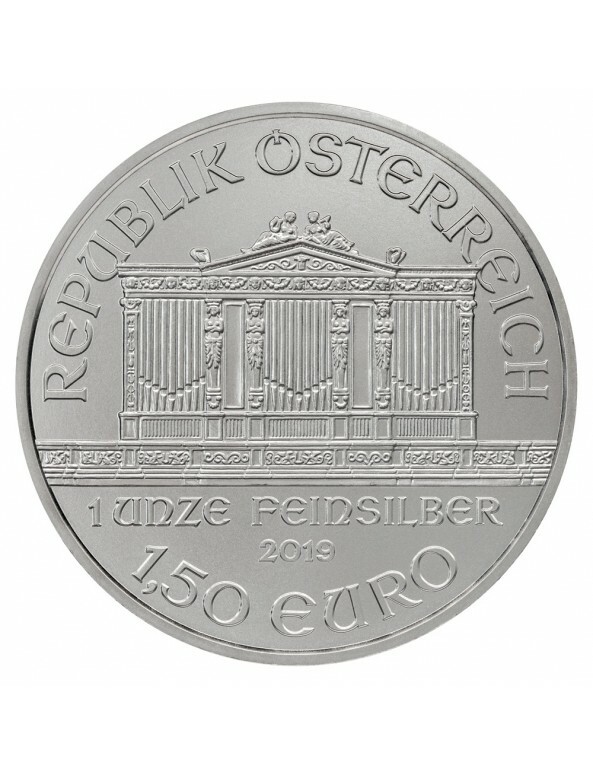 The Austrian Mint utilizes tamper evident seals and a signature red color to its 2019 Austrian Silver Philharmonic monster boxes and mint tubes. 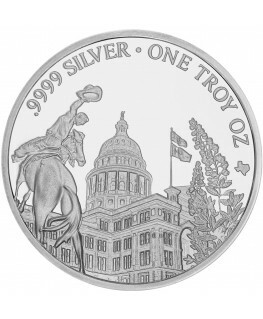 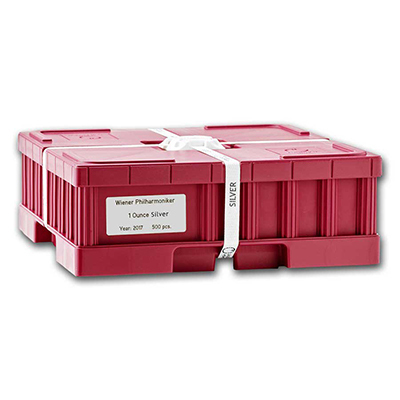 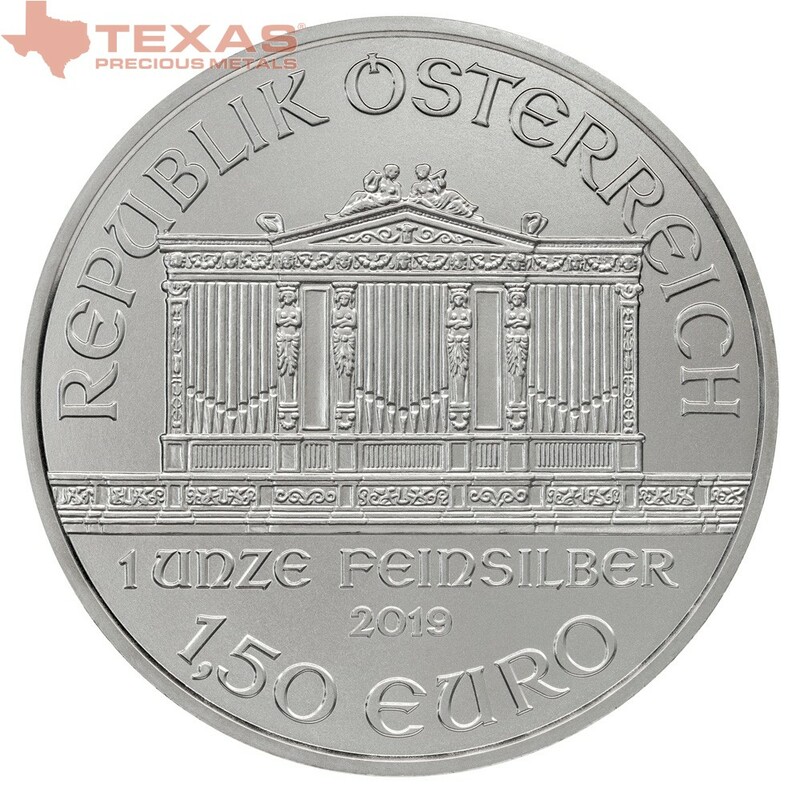 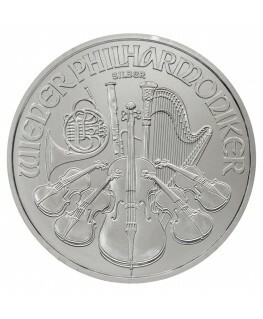 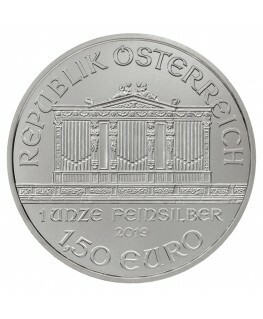 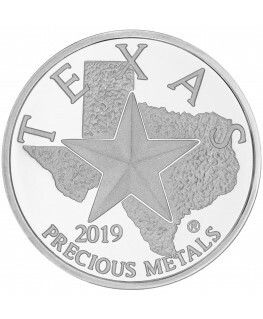 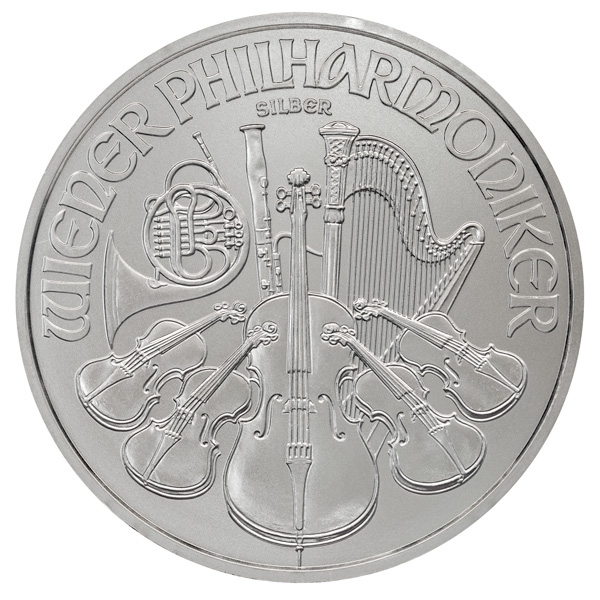 Each 2019 Austrian Silver Philharmonic Monster Box contains 500 Brilliant Uncirculated 2019 Austrian Silver Philharmonic bullion coins, and every coin is comprised of one troy ounce of .999 pure silver. 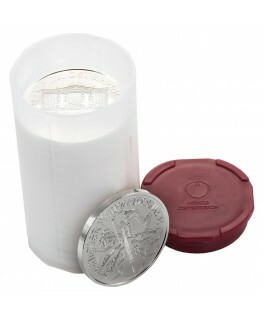 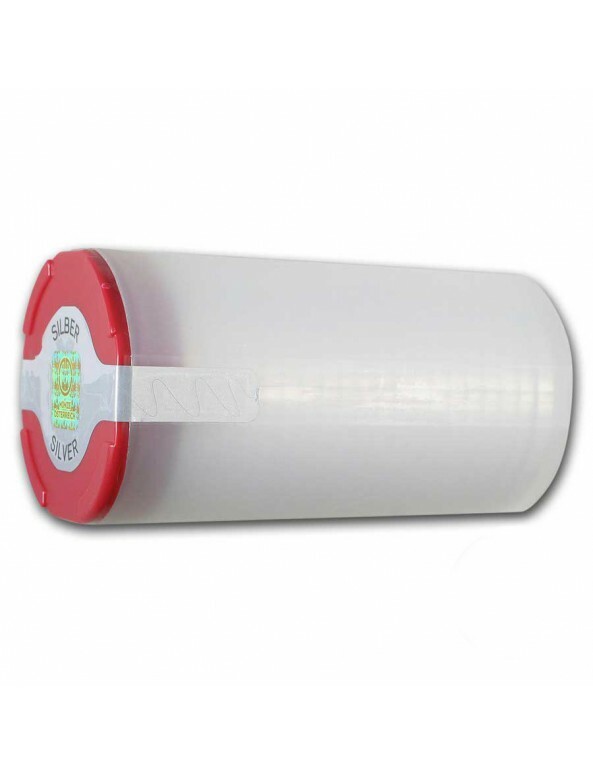 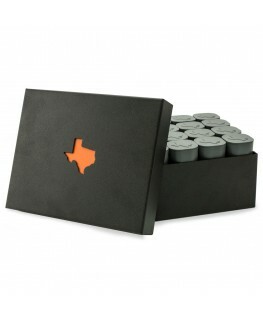 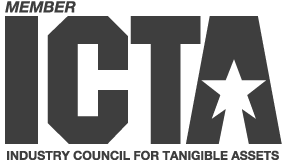 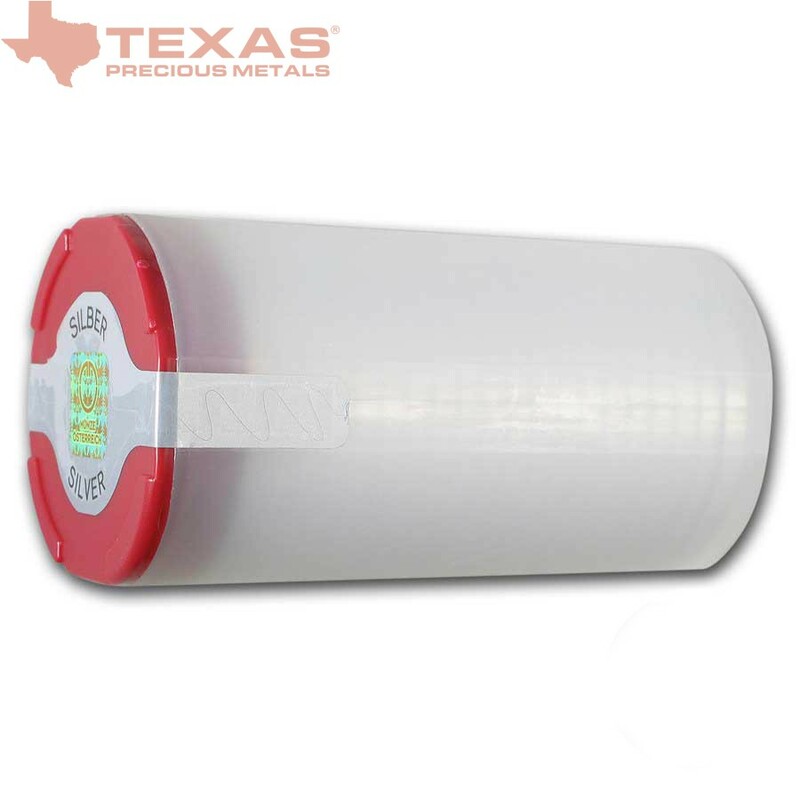 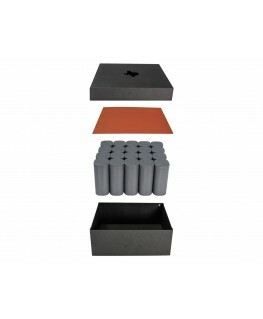 Safely sealed inside the government-issued monster box are 25 protective mint tubes, which hold 20 coins each.